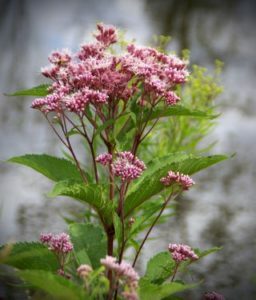 Joe Pye Weed is a perennial plant that grows from the mid-summer months well into the fall. This tall growing plant works great as a background flower. Because it is so tall, you can grow other smaller plants in front of it and make a wonderful looking landscape. This flower grows on tall thick stems. The stems are thick enough to hold up the foliage and flowers, so you do not need to stake the stems. This plant can reach 7 feet in height. The leaves on this plant are long and pointy. They grow out and look like floppy bunny ears. The flowers on this plant grow in clusters all along the stem. They grow in either pink flowers or white flowers. Joe Pye Weed lets of a wonderful scent that seems to draw you in. The smell also draws insects in, as you may see insects on your flower from time to time. Plant Joe Pye Weed in a sunny spot in your yard and make sure to keep it in moist soil. It thrives by being fed with compost. Each spring layer a thick amount of compost on top of the dormant plant. 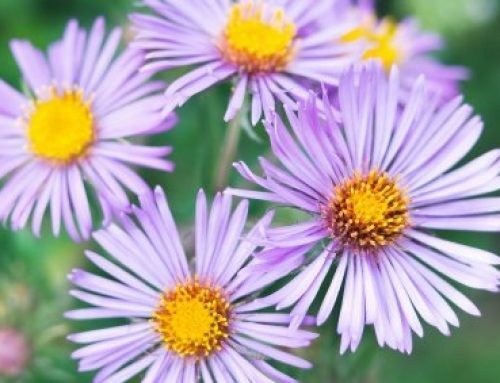 Since this plant is a perennial it will not grow to its fullest potential right away. It will take a few seasons to reach its maximum growth. When it has been around for a few years.